Available now from American Eldritch Press. This volume includes a new introduction from Aladdin Collar concerning Lovecraft’s dreams and influences, and includes two of Lovecraft’s prose poems as well, Nyarlathotep and Azathoth. As a writer of science-fiction horror tales, Howard Phillips Lovecraft achieved eminence in his field. He gave the State of the Genre address with his 1927 essay, “Supernatural Horror in Literature,” and formalized the long tradition of Weird tales as a fundamental component of humanity, going back to the dawn of civilization. Lovecraft’s body of fiction is split into two main groups of writing, the initial Dream Cycle and the subsequent Mythos Cycle. While the Mythos heavily explores 20th century natural philosophy, drawing on archeology, evolution, geology, and astronomy to sustain its terrors, the Dream Cycle is a bit looser – a bit more personal. 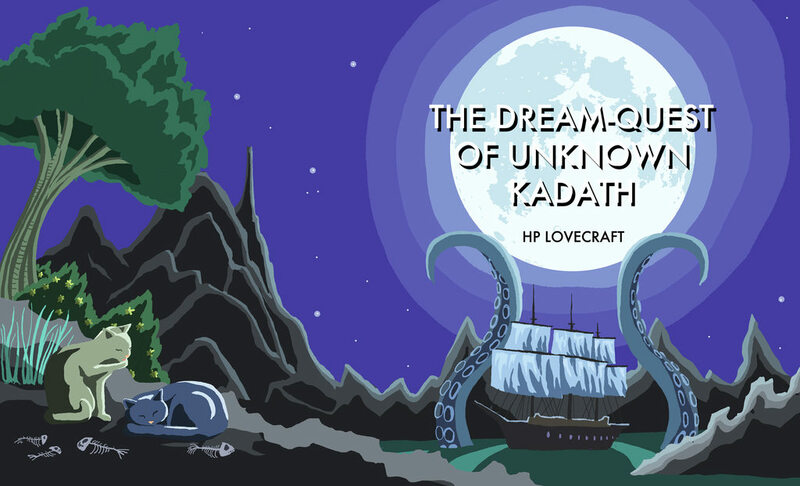 Lovecraft wove fragments from his own vivid dreams into the texts, imbuing them with a clarity of vision that pervades through the conjured worlds. Because Lovecraft’s most affecting dreams were unrelenting nightmares, horror abounds on the page.